The Milan project was nearly a ground-up if not for retaining the front facade of the existing 1930’s home. The program called for the addition of new living space including two sizable basements, a pool house and dining pergola. 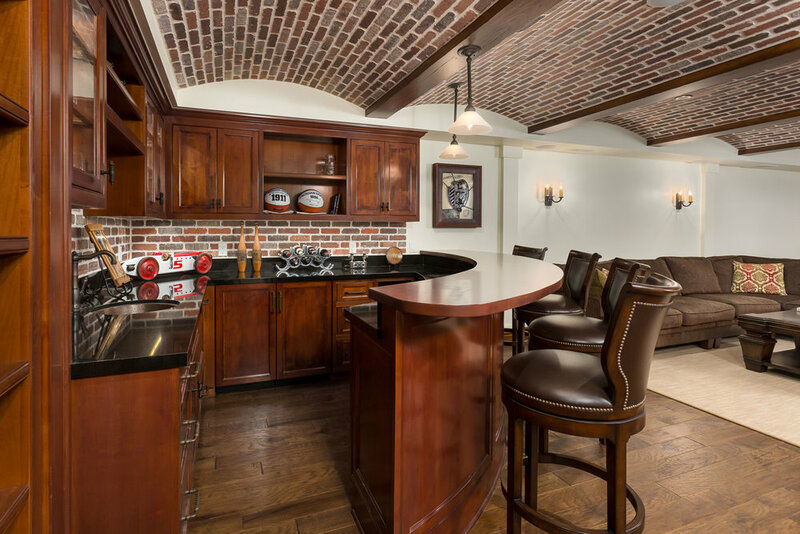 Working with tricky soil and navigating challenging city requirements, the Chelsea team employed their problem-solving skills and years of experience to craft details like barrel vaulted brick ceilings and archways in the basement bar and wine cellar as well as a paneled Gentleman’s Study of stained wood, lined with built-ins and crowned with a conferred ceiling. 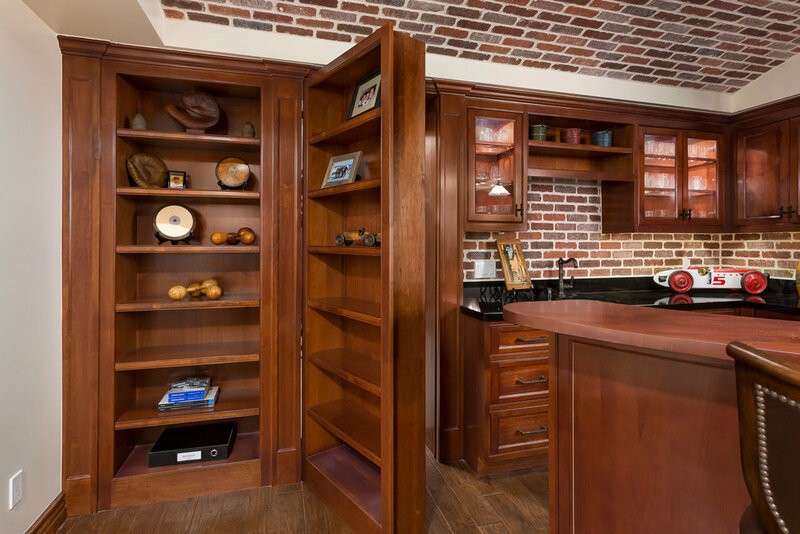 Built-in bookcases, desks and wardrobes were custom built in each of the four bedrooms, as well. The living experience extends to the yard with a brick loggia and a pergola for dining and sitting by an outdoor fireplace.